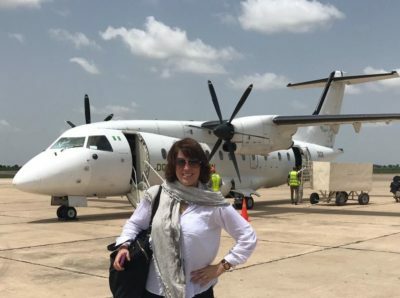 Frontier recently returned from Nigeria, where the team conducted a three-week assessment to better understand the changing strategies, tactics, and influence of Boko Haram and ISIS-West Africa in the Lake Chad Region. In Abuja and Borno State, Frontier connected with academics, activists, civil society organizations, international non-governmental organizations, and security actors to explore the region’s dynamic history, discuss the current problem set, and learn how multiple stakeholders are adapting in such a fluid environment. We are deeply grateful to all who shared their thoughts and experiences with us, and sincerely thank everyone who ensured the trip was a success. This assessment served as the catalyst for an exciting project that Frontier is just beginning. We will report back with more soon!